We’ve taken two of your favorite things and put them together in one memorable evening full of laughter. First up, the comedy! Two shows for the price of one. Watch our fast-paced Mainstage teams perform a hilarious improvised show, created in the moment. Next up, cocktails! Enjoy one of our signature cocktails, which is included in your ticket price. We’ll keep the bar open until 2:00 so bring your friends! Just like the popular TV show “Whose Line is it Anyway,” you give suggestions and the ICC Spontaneous Comedy Team will use them throughout a fast-paced show. Each show is a unique, interactive experience, providing maximum laughs! This internationally touring group is made up of 5 of ICC’s most experienced improvisors who create an engaging story that takes place in real time. Out of respect for the other show guest please arrive at the theatre no later than 19:45. If you have not checked-in at the theatre by 20:00, your reservation will be cancelled and the ticket will be made available to the stand by line. What exactly is improv comedy? Improv is the skill of creating characters, scenes, and complete shows without ever having a script, rehearsal or even knowing what story is going to be told before the show starts. Improv comedy is doing all that with the aim of making your audience have a truly enjoyable night out. When performing as the member of an improv team, you are an actor, musician, director, member of the chorus, scriptwriter, straightman, clown, and prompter, all improvising the entire storyline moment to moment. There are no props or set – just the improvisers and the audience’s imagination. Each week the ICC Theatre features several different shows – most of them in English simply because our performers come from over 10 different countries and therefore there is a very international focus. 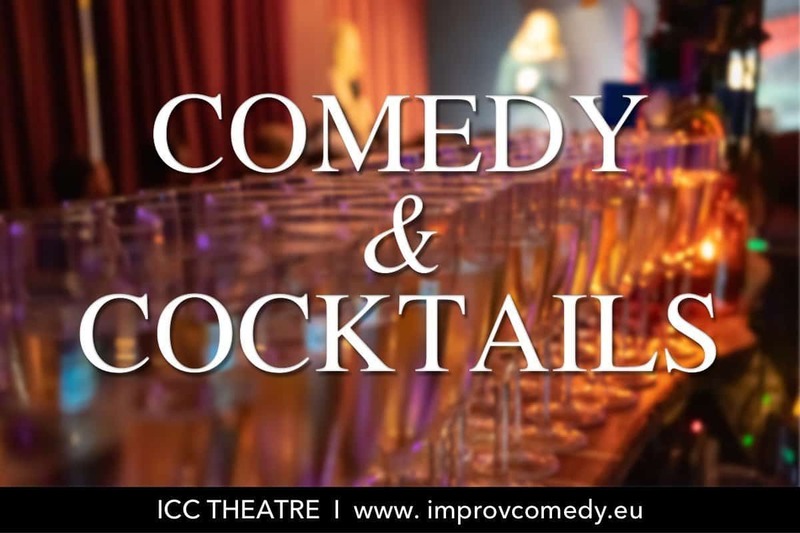 Besides this, the ICC has its own Training Centre where Improv Comedy training is available to anyone – from the absolute beginner to the experienced actor. Over and above this, the ICC has a department dedicated to running events, workshops, team-building experiences and shows for businesses both within and outside of Denmark.